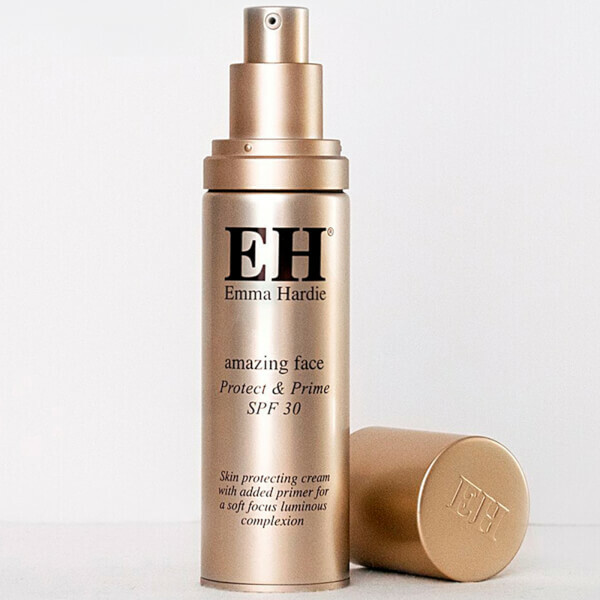 Perfect and protect your skin with the Emma Hardie Protect and Prime Moisturiser SPF30, a dual-action formula that paves the way for flawless makeup application while protecting against premature ageing. Fortified with broad spectrum SPF30 for all-day sun protection, the lightweight, non-greasy primer delivers an undetectable veil that creates a soft focus finish on skin. Light-diffusing properties blur the appearance of fine lines and pores; skin becomes a smooth, supple canvas for long-lasting makeup looks. Formulated with Mongongo Oil, Oat Extract and Vitamin E to keep skin safe from damaging environmental aggressors that can lead to early signs of ageing. Wear alone on makeup-free days, or apply before foundation to expertly lock makeup in place. Dispense a generous amount of product into fingertips and smooth evenly over face and neck in the morning, avoiding the eye area. Warnings: Contains Oxybenzone . Avoid contact with eyes, and rinse thoroughly if in contact with warm water.